Yet even as a diamond is multi-faceted, each church tradition preserves distinct perspectives of God. As Armenian Christians we understand that in addition to receiving the gospel, we have received unique prayers and writings passed down to us through the ages. Indeed God has revealed Himself to the Armenian nation in a particular way. Appreciating God’s distinctive revelation to the Armenian people in and through the Armenian Church and Armenian history not only enriches our spiritual lives, it also transforms us into a people who can share the Light of God with the world in a special way. As Armenian Christians we have a calling to lift up what God has given to all of us in Christ, and also that which God has uniquely given to us as Armenians. We are called to make the effort to sacrifice a bit of effort, so that we might come to understand the richness of our unique Armenian Christian heritage; and pass on this richness to the world and to a generation yet unborn. 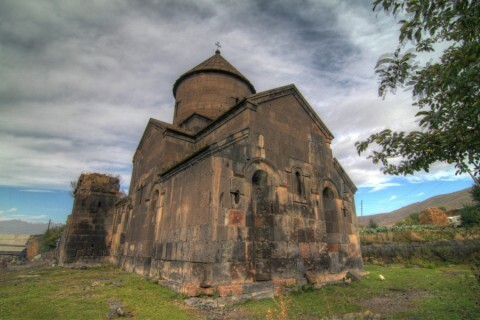 May God grant you the Spirit to desire, to seek to comprehend, and to come to appreciate the unique gifts you have as an Armenian Christian. And may he give you the wisdom to recognize that preserving and proclaiming His particular blessings to the Armenian people brings greater glory to God, by showing Him in a unique and beautiful light.